Movie-focused US cablenet ReelzChannel has ordered a second season of True Justice, its first original drama series, starring Steven Seagal. True Justice debuted at the end of March, with episode three becoming the highest-rated programme on Reelz this year, drawing more than 1.2 million viewers. The Hubbard Broadcasting-owned network has now ordered a 13-episode second season of the show, which follows a team of undercover cops who take on criminals in Seattle. The series is produced by Sojo Productions and Voltage Pictures, in association with Steamroller Productions. 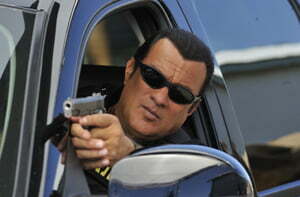 Seagal, Nicolas Chartier and Phillip B Goldfine are the exec producers.